BOSTON — The texts came in to Avery Bradley’s phone before tonight’s Game 5, from his team’s star player to his team’s television play-by-play broadcaster. After a week of struggles, tonight was going to be his night. The Celtics were going to be one step closer to their championship goals because Bradley was going to find the form that has made him one of the best two-way players in the league. 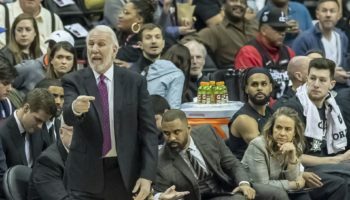 Those texts were spot on, and Bradley, along with the supporting cast for the Boston Celtics, were right on point on Wednesday night from the start. 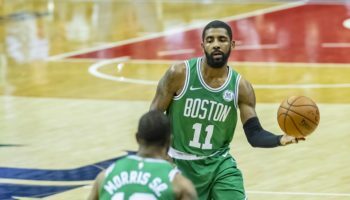 The fast start the Celtics got off to in their 123-101 victory over the Washington Wizards was spurred on by Bradley’s scorching first quarter, as he lit up Washington for 14 points as Boston raced to a 16-4 lead and never looked back. He scored them in a variety of ways, from two three-pointers to two breakaway dunks to a pull-up jumper to a finger roll. All of that added up to Bradley scoring more points in the quarter than he did in Games 3 and 4 combined, when the Celtics were humbled in both games in Washington and forced the series to be a best-of-three. The series was effectively untied again well before the final buzzer tonight, and Bradley was the one who made sure of it. 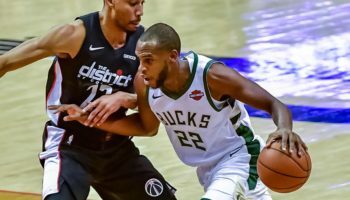 Bradley, who’s been playing through hip pointers afflicting both of his hips, was bound to play better at home than in the games in Washington, as most role players end up doing in the postseason. But it didn’t hurt that he continued to get reminders and encouragement that he was due for a breakout performance from those close to him. It was a much different story on Sunday, when Thomas publicly lamented after the Celtics’ Game 4 loss that his teammates had a crisis of confidence, claiming that he saw many of his teammates hang their heads after missed shots during the defeat. As it was on Sunday, Washington made sure to force the ball out of Thomas’ hands tonight by double-teaming him on almost every touch on the offensive end. It took a couple of games, but the Celtics’ adjustments to the Wizards trying to ice Thomas paid dividends, with Bradley being the main beneficiary. Celtics head coach Brad Stevens stressed the importance of not just increased scoring from those outside of Thomas, but making the right plays to lead to those baskets. It was the near-perfect game plan, but one that Bradley knows has to continue if the Celtics’ playoff run is to continue. The Celtics also have players who are difference makers on the defensive end, Bradley included. Bradley specifically mentioned Marcus Smart’s performance as a driving force in tonight’s win, as he had 11 rebounds – all of the defensive end – while chipping in with six assists and two steals. Boston got the win with Thomas being not just a distributor, but also playing the role of a screener, helping his teammates get open looks at the basket. 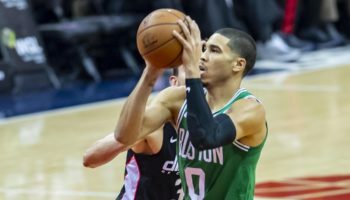 He wasn’t necessarily a decoy, but the burden of scoring in bunches was lifted off his diminutive shoulders for one night as Boston’s supporting cast rose to the occasion. More than anything, Thomas’ modest numbers tonight – 18 points, nine assists – owes itself to the maturity the All-Star point guard has shown in trusting his teammates and not trying to shoot his way out of a slump. 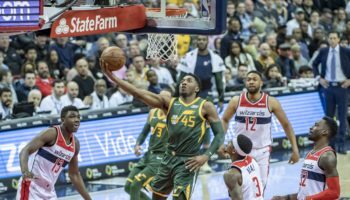 The trick the Celtics have to pull off now is to have the role players carry this play down the Eastern seaboard for Game 6 in Washington, where they’ve been a shell of themselves in two humiliating losses to the Wizards. Boston is going to need the first guy, the last guy, and everyone in between once more on Friday night.